I read a recent article on Street photography via PetaPixel on how to make better street photos. The article reminded me of a photo I took last summer during an impromptu visit to New York City. 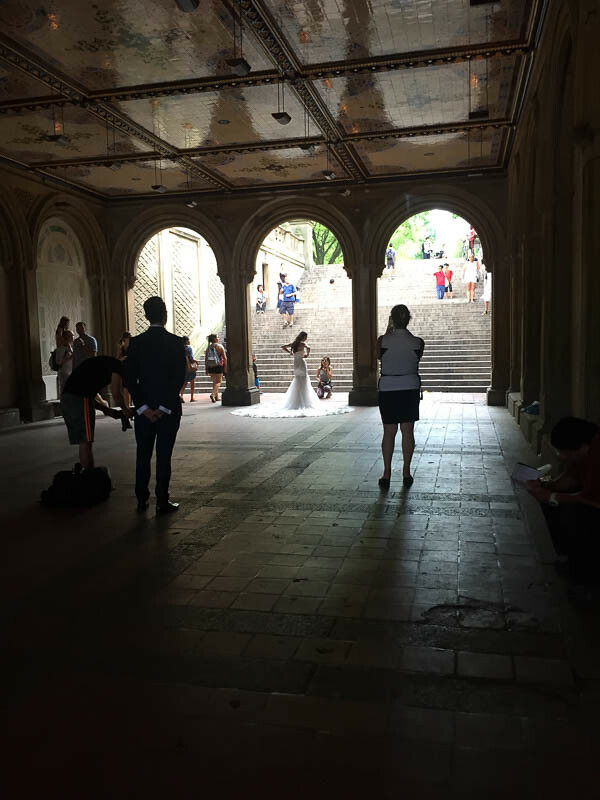 We were walking around Central park, a bevy of people and activity all around us. 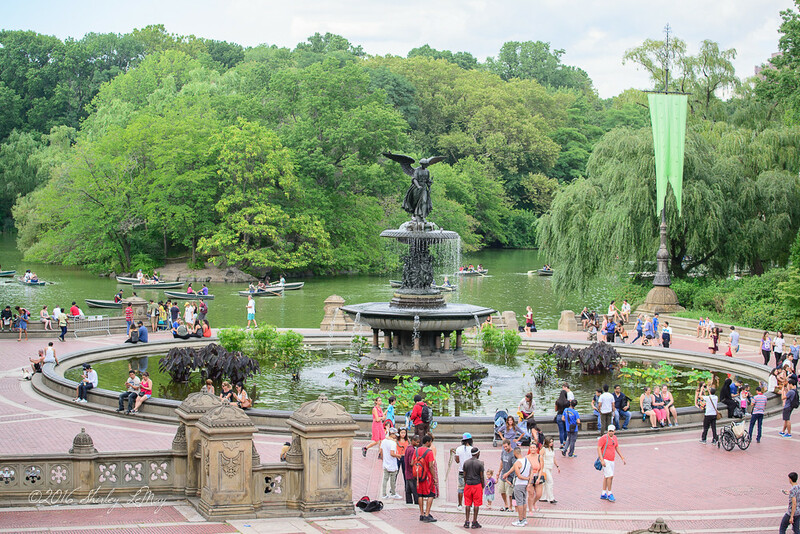 We paused at the Bethesda Fountain, as it was clear to me it was a significant landmark in the park. Yeah, not so impressive. I didn't get myself close enough to the scene, there's that woman to the right creating visual clutter, and the exposure is too dark. But instead of hitting the garbage can icon, I decided to crop it in. 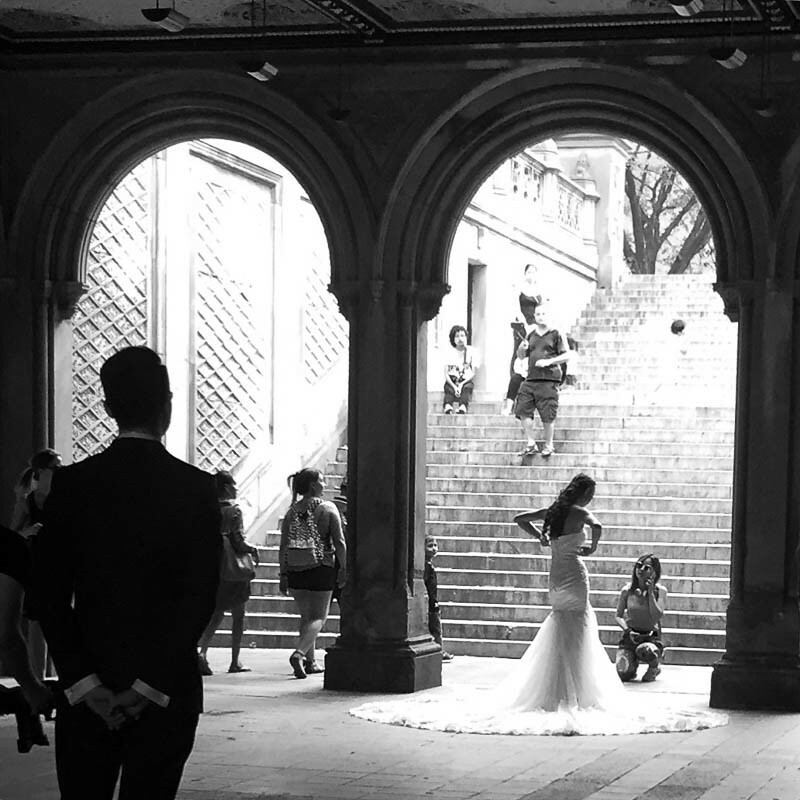 My focus was of the bride and her groom, patiently waiting in the wings and the archway framing the bride. I converted it to Black and White to play up the groom's silhouette as the original photo was too dark to get any details. I did these edits right in my phone, using the Instagram app. With all the extra "stuff" gone, the scene is focused and I want to know more about this couple's story. Don't be afraid to crop away to bring emphasis to the story you want to tell. I often crop my photos and you're right, it's surprising what you can make of something you might otherwise delete. I'm enjoying the new challenges of having my first full frame. A really significant (and wonderful!) difference, Shirley.